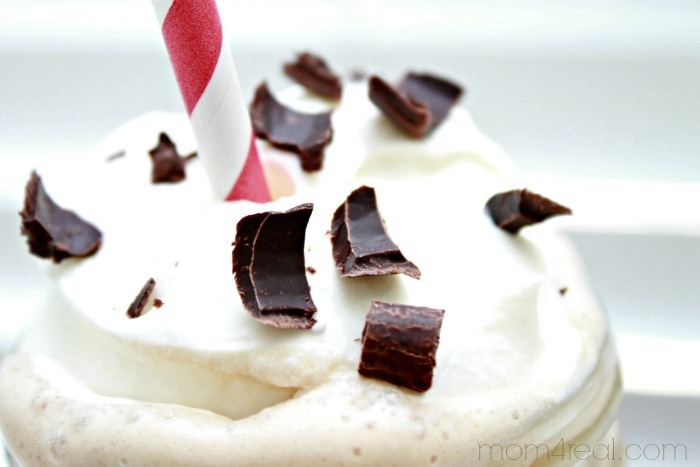 A few weeks ago I shared my simple recipe for a 3 Ingredient Mocha Frappuccino, and today I want to share another recipe that can help you kick it up a notch! 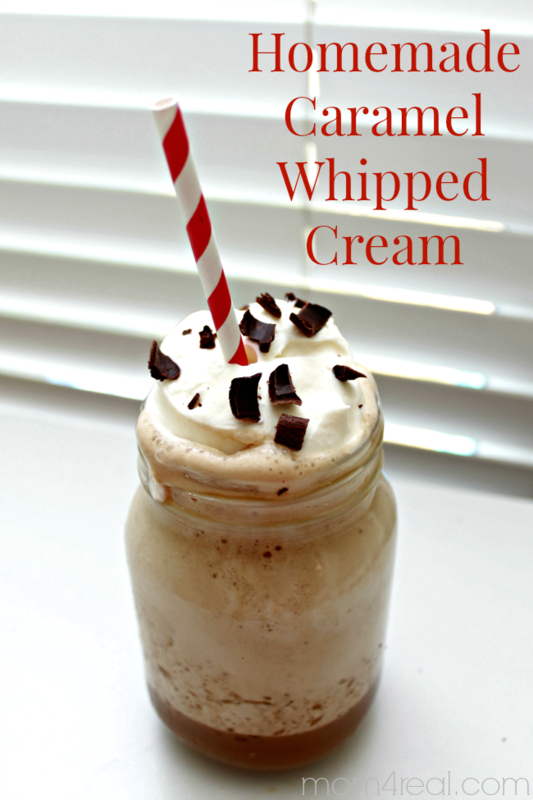 I’m going to show you how to make homemade caramel whipped cream! You can use it on your coffee, as a dessert topping or if you are anything like me…just eat it by itself! It’s so simple to make and once you have it down, you can make it in soooo many flavors! You will need 1 cup of heavy whipping cream, 1 tablespoon of International Delight Caramel Macchiato Gourmet Coffee Creamer, and 1 teaspoon of sugar. 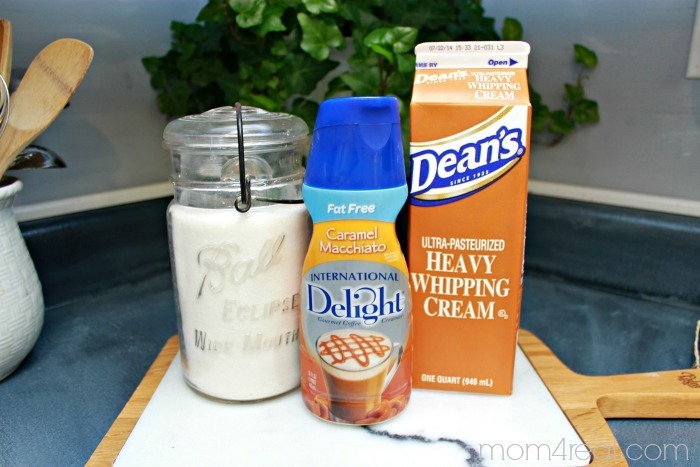 Simply add your heavy creamer to a bowl and whip with a whisk until it starts to thicken. Next, add the sugar and whisk it a little more, then add the caramel creamer and whisk until it gets nice and thick…that’s it! I added a whopping spoon full to the top of my mocha frappe and for an added touch, shaved a little bit of dark chocolate on top…yummmm! I’m so happy it turned out and can’t wait to use even more of International Delight’s flavors! I think next I’ll try their Almond Joy Creamer…can you imagine? Coconut and chocolate flavored whip cream? OMG! 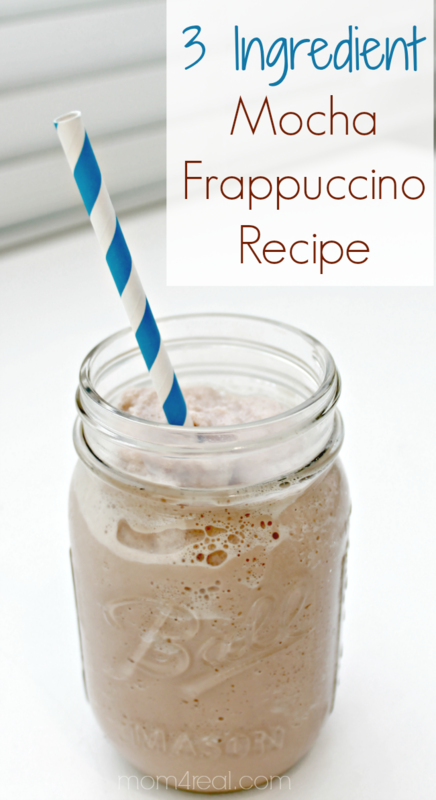 You can click HERE to grab the recipe for my 3 Ingredient Mocha Frappuccino!